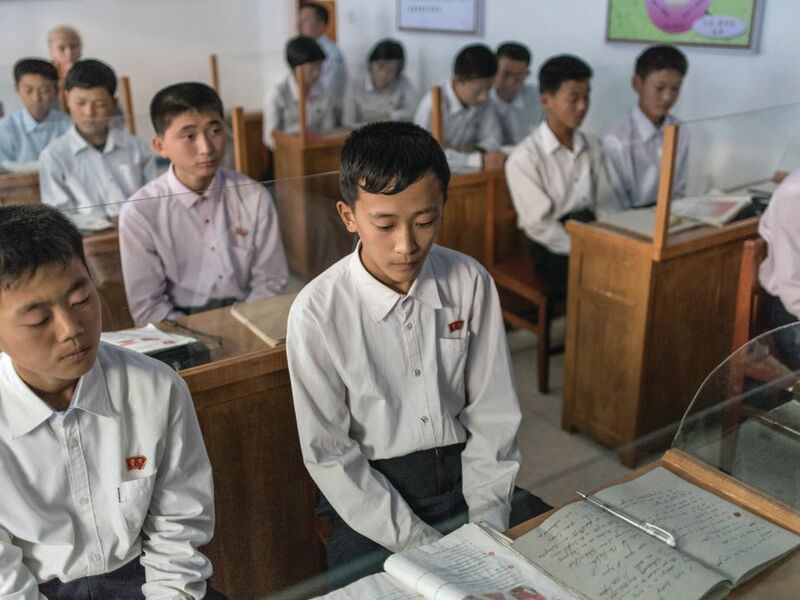 Rare images of daily life in the secretive state of North Korea are about to go on show at the American University Museum in Washington, DC, just four miles from the White House. As the Trump administration calls on China to curb the country’s nuclear programme, the college museum is preparing to stage States of Mind, an exhibition of 60 prints of scenes from North Korea and Cuba by the Belgian-born Magnum photographer Carl De Keyzer (18 June-13 August). The North Korean series documents the seven-week journey that De Keyzer made throughout the country with the British-run Koryo tour group in 2015. The display is the last in a trilogy of Korea-themed exhibitions conceived by Jack Rasmussen, the museum’s director. After developing an interest in North Korean brush-and-ink paintings on paper five years ago, he planned a research trip to Pyongyang. Though he secured a visa, the university baulked at his proposal. “Perhaps they didn’t think a photograph of me standing between Dennis Rodman and Kim Jong-un was the right look for the university,” he says. Rasmussen has not yet been able to make the trip, but last summer he programmed the first US exhibition of contemporary North Korean socialist realism. The show was organised by B.G. Muhn, a professor of painting and drawing at Washington’s Georgetown University, who has been to North Korea nine times. It ran in parallel to an exhibition of realist works by ten South Korean artists. Seeing North Korean art helps to humanise citizens of that country in the eyes of Western museum visitors, Rasmussen believes. “One has to at least think twice about dropping bombs on them,” he says.